The Tampa Bay Rays traded outfielder Steven Souza to the Arizona Diamondbacks on Tuesday as part of a five-player, three-team deal also involving the New York Yankees. The Diamondbacks parted with two former Midwest League players in the trade. In addition to Souza, the Diamondbacks received RHP Taylor Widener from the Yankees. The Rays got LHP Anthony Banda from the Diamondbacks and second baseman Nick Solak from the Yankees. The Diamondbacks sent infielder/outfielder Brandon Drury to the Yankees. 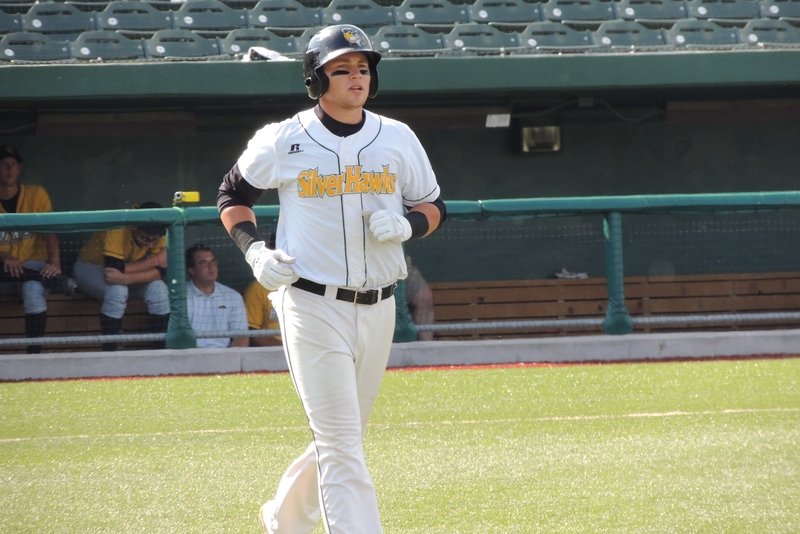 Drury, who made his major-league debut in 2015, played for the South Bend Silver Hawks in 2013. He batted .302 with 15 HR and 85 RBI in 134 games in the Midwest League. Last year he hit .267 with 13 HR and 63 RBI in 135 games with the Diamondbacks. Banda played for two different MWL teams in 2014. He started the season with the Wisconsin Timber Rattlers, for whom he went 6-6 with a 3.66 ERA, two saves, 83 strikeouts and 38 walks in 83.2 innings (20 games/14 starts). 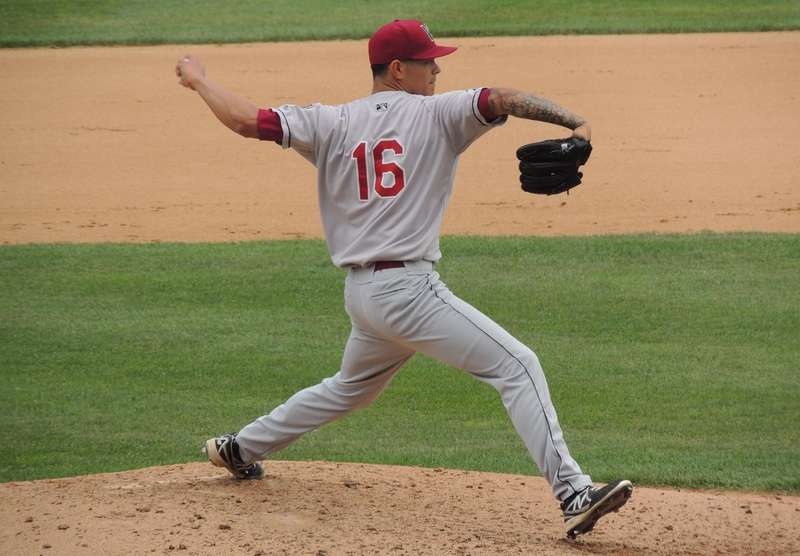 After the Milwaukee Brewers sent him to Arizona at the trade deadline, Banda finished the season with the Silver Hawks, for whom he went 3-0 with a 1.54 ERA, 34 strikeouts and seven walks in 35 innings. Banda split the 2017 season between Triple-A and the major-league level. He went 8-7 with a 5.39 ERA, 116 strikeouts and 51 walks in 122 innings/22 starts for the Reno Aces, and 2-3 with a 5.96 ERA, 25 strikeouts and 10 walks in 25.2 innings (eight games/four starts) for the Diamondbacks. To make room for Drury on their 40-man roster, the Yankees designated outfielder Jabari Blash for assignment. The Los Angeles Angels acquired Blash on Wednesday, in exchange for cash or a player to be named later. Blash played 155 games with the 2011-12 Clinton LumberKings, cumulatively batting .239 with 18 HR and 63 RBI. He split the 2017 season between Triple-A and the major-league level. He batted .285 with 20 HR and 62 RBI in 72 games with the El Paso Chihuahuas, but hit only .213 with 5 HR and 16 RBI in 61 games with the San Diego Padres. The Yankees acquired him in a three-player trade two months ago. Houston Astros prospect Forrest Whitley, who spent part of last season with the Quad Cities River Bandits, was suspended 50 games for a drug violation Wednesday. He is a highly-touted prospect, ranked ninth overall by MLB.com and 10th overall by Baseball America. Whitley started the 2017 season with the River Bandits, going 2-3 with a 2.91 ERA, 67 strikeouts and 21 walks in 46.1 innings (12 games/10 starts). He also pitched in High-A and Double-A last year, cumulatively going 5-4 with a 2.83 ERA, 143 strikeouts and 34 walks in 92.1 innings (23 games/18 starts) across the three levels. He is expected to return to Double-A this year, but won’t be eligible to play until late May. This entry was posted in Clinton LumberKings, El Paso Chihuahuas, Midwest League, Pacific Coast League, Quad Cities River Bandits, Reno Aces, South Bend Silver Hawks, Wisconsin Timber Rattlers. Bookmark the permalink.